In terms of being a successful college athlete, the content of this article probably exceeds the value of all other articles in the series. When you graduate from high school, it's easy to think you have your admission to college, you have your athletic scholarship, and you can stop worrying about being on your best behavior. Try not to go there. Your responsibilities have only begun. 1. If you have a minor (or worse than minor) injury going on after your state meet, talk with your high school coach about it and let your college coach know about it. Do not simply continue what you're doing and hope it goes away of its own accord. One thing you don't want to do here is blow up your whole summer of training over an injury you didn't let heal when you had the opportunity. The first couple of weeks after the state meet is a great time to take some down time. If you have a post-season meet you want to participate in, still talk to both your high school and college coaches. 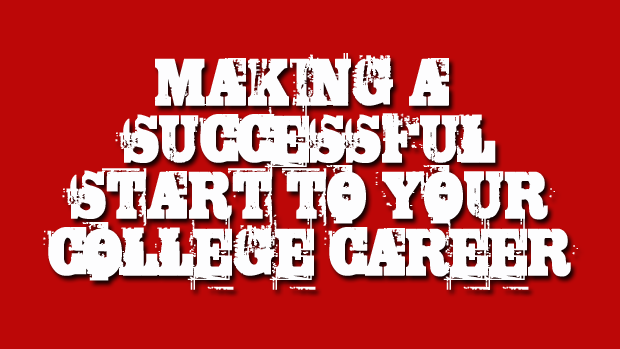 Your college career is probably more important than that post-season meet. Don't let yourself get confused over this one very simple fact. 2. You will almost certainly get a summer training schedule from the college coach you'll be working with in the fall. Follow that schedule very, very closely. If necessary (and maybe even if it doesn't seem necessary at the beginning), find people to train with to help keep it fresh and keep your motivation up over the summer. Get it done. Number one, this starts you off on the right foot with the coach who guides a large portion of your life for the next four or five years. Number two, it is a pretty lousy feeling to arrive in the fall and be needlessly behind the curve. You're likely to find out on the first day or two after you arrive that the college version of the sport is a little more intense than the high school version. You don't want that realization to become any more painful (either physically or psychologically) than it needs to be. Most of all, you don't want to be on the shelf with an injury early in your freshman season because you didn't do the indicated training over the summer. Even if your summer involves some extensive travel, get your training in. Make a way or decide to put that trip off until another time of life. 2a. If your college coach asks for updates on how you're doing with the training schedule, be diligent to send your updates promptly. This is a little bit of accountability built into the system. Learn to embrace the opportunities to make yourself accountable. 3. If possible, attend the summer orientation session at the school you'll be attending, drop in with the coach for a while, and chat. The coach-athlete relationship is, after all, a relationship. You want to start that relationship out well. Take care of your part. 3a. Once you arrive on campus in the fall, don't be a stranger with your coaching staff. It's definitely possible to make yourself too visible, but it doesn't hurt to drop into the coaching offices now and then, ask questions you have, and generally be pleasant with the coaches. I've heard from way too many college coaches that too many college athletes seem almost to make it a point to avoid contact with their coaches outside of practice. If that's your personality type, fight against your tendencies a little and work on building your part of the relationship. 4. If you are a student of modest means and you've earned a scholarship to a very expensive school that you plan to attend in the fall, sharpen your skills of financial self-discipline starting now. The college coach who shared this little nugget of insight with me wasn't keen on having his name associated with the insight, but it's still good advice. Here's the trap: You're surrounded by people who have money and, for the most part, don't give a second thought to spending it freely. Even if you have every dime of your college expenses covered, you are going to be constantly rubbing shoulders with a lot of people who have a whole lot more money to spend than you do. You will be under considerable peer pressure to do things with them that compel you to spend a lot of money--money you don't have. If you don't learn to live within your means in this situation, and quickly, you will find yourself accumulating a large amount of debt faster than you can say "100 meter dash." That debt might easily force you to leave the school long before you intended to leave. To some extent, this is a problem worth thinking ahead about at any school, but the problem is magnified in this context. 5. Prepare yourself for the idea that you will be at a new station in the pecking order. If you are a scholarship track and field athlete, it's a safe assumption that you have had a lot of attention--both from coaches and from peers--in high school. For better or for worse, you have had people hinting or telling you almost every day how good you are. For almost all incoming college athletes, it will be a very different picture the moment you get to college. If you're in a top-tier program, everyone on the team was a queen bee or the alpha wolf in high school. You have some mental adjustments to make. A big proportion of those who drop out of college programs are those who cannot make the mental adjustments necessary to move forward for an extended period of time in relative obscurity. You will not be getting as much attention from the coaching staff as you're accustomed to getting. You will not be looked up to and sought out for advice by most of the team. If you aim to be successful, you'll mostly just be working your tail off with very little notice for a year or two. As a rule of thumb, you start seeing a lot more coach attention once you make the travel squad on your college team. Even if you're not entering a top-tier program all of this is still true, though perhaps for not as long. 6. Prepare yourself for the idea that your college team is not the same kind of community as your high school team, and especially so if your high school coach has gone to great lengths to stress the importance of team. The competition among team members is a lot more out on the table and visible at the college level than at the high school level. It tends to be much more about the individual and less about the team at the college level, even if they tell you how close the team is while you're on your official visit. At the college level, "close" does not mean the same thing it meant at the high school level. If the feeling of shared community is a huge part of the track and field/cross country experience for you, you're a lot more likely to find it at the more moderate levels of competition than at the higher levels. To date, the only athletes we've ever had who came back and told us that they found a community at the college level like what they had in our high school program were DIII or NAIA athletes. I'm not saying those are the only places that exists, just that that's where you're more likely to find them. 7. It's a very simple thing, but you may want to make a small investment in a set or two of earplugs to help you get a little more sleep in the dorms. If you are a track and field athlete, you need your rest. If you live in the dorms, adequate rest is going to be hard to come by. Do what you can to make it easier. 8. Whatever your tendencies may have been in high school and whatever you got away with on the academic front there, resolve to avoid ever showing up on your college coach's radar screen as an academic problem. You don't have to be a 4.0 student if that's not your thing; you simply have to take care of business in the classroom. Understand in advance that college professors aren't under the same kind of pressure to ensure you pass that your high school teachers are under. Where pressure of that nature exists, it's more directed toward college coaches to make sure that their scholarship athletes become college graduates. Your coach will be happy to pass that little burden of pressure along to you, if necessary.